Man Utd have officially confirmed Ole Gunnar Solskjaer as their new caretaker boss after sacking Jose Mourinho, and an old story involving Rio Ferdinand has come to light. As noted on the club’s official site, the Norwegian tactician has been placed in temporary charge until the end of the season after it was decided that Mourinho would be sacked. In turn, the club legend will now be tasked with salvaging something from this season and at least getting the Red Devils back into the top four to qualify for the Champions League, before a long-term appointment is made in the summer. 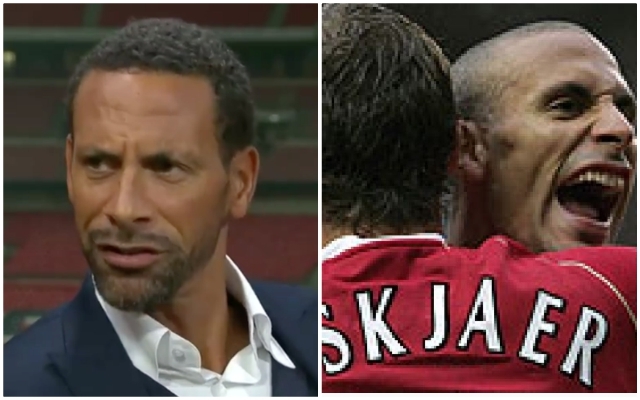 Given the nickname of ‘baby-faced assassin’ during his playing days due to his appearance and his clinical edge in front of goal, Ferdinand recently revealed a training-ground story involving his former teammate when he first joined Man Utd. As seen in the video below from BT Sport, the former United centre-half noted how Solskjaer ripped him after a poorly attempted pass, asking: “How much?”, in reference to the £30m fee that was splashed out to sign him from Leeds United, as noted by the Telegraph. While it’s an amusing story, it also arguably gives an insight into the attitude and approach that Solskjaer may well look to instil in his newly inherited squad. From raising morale and building a positive atmosphere to ensuring that there is a very high standard and accountability within the group, he could prove to be crucial in bringing back the culture and mentality that made United so successful during his time with the club as a player. Think Ole Gunnar Solskjaer is just the baby-faced assassin?